The audience of ‘Jagan Anna Pilupu’ initiative includes lawyers, headmasters, and representatives from diverse sections of the society. This is for the first time in the state of Andhra Pradesh, a popular political leader is being directed by a private consulting firm I-PAC (Indian Political Action Committee) promoted by poll strategist Prashant Kishore. Later, addressing a well attended Samara Sankharavam gathering at the Municipal Stadium, Mr Jagan expressed apprehensions about mischief in deleting votes of his sympathisers and sought booth-level workers to be vigilant. Reminding people to hold Jana Sena chief Pawan Kalyan as responsible for the present ills of the state, Mr Jagan said that the people in this state should hold Pawan Kalyan accountable as in 2014, he asked the people to vote for the TD and said that he was going to be personally responsible for Chandrababu Naidu’s performance. He also cautioned the people to be beware of yellow journalism and fake surveys conducted by Lagadapati Rajagopala Rao. During the third ‘Jagan Anna Pilupu’ interaction, Mr Reddy addressed these influencers and conveyed his vision for AP. This was followed by an open discussion in which the attendees put across their point-of-view on the pressing issues of their regions and suggested potential ways to address them. To a question on job creation, Mr Jagan said that there are 2.4 lakh posts that are lying vacant in the state. “In the previous five years, none of these have been filled up. We have done an in-depth study of the job scenario in the state. We will maintain transparency in the number of jobs we provide once we get into power. We will provide jobs to the local villagers in the Village Secretariats. We will provide the benefits of schemes without accepting any bribes,” Mr Jagan said. Continuing his campaign for attracting all sections of the society with promises, YSRC chief Y.S. 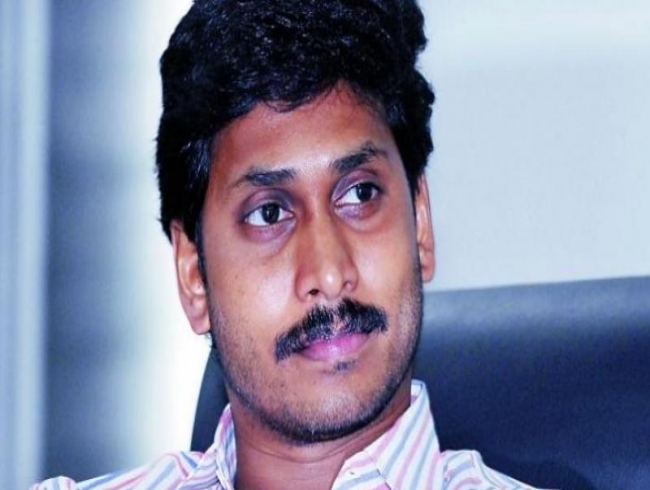 Jagan Mohan Reddy said that his party will not seek any tie-ups with other political parties and will prefer to support a party that will grant Special Category Status to Andhra Pradesh. Speaking at a public meeting held in Kadapa on Thursday, as part of Samara Sankharavam, Mr Jagan said that he would build Kadapa Steel Plant within three years and make a law to provide 75 per cent jobs to the local people. He said that there is a great deal of responsibility to take the cheat-sheet of Chandrababu Naidu to people and tell them as to how he has cheated them on various counts and how he broke all the promises he made. Mr Jagan said that Chandrababu Naidu has been trying to delete names of their party sympathisers from the voters’ list and one has to ensure that all of them come to the polling booth and vote.